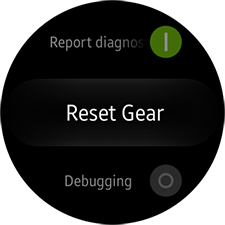 Gear S2: How do I reset my Samsung Gear S2? 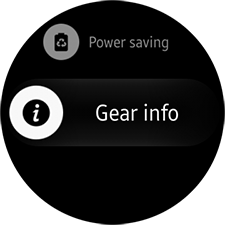 Your Gear S2 lets you delete all of your personal information from the device. This feature ensures your data are removed before sending the device in for replacement or repair, properly disposing of the device, or giving the device to a friend or family member to use. Warning: Your personal information cannot be recovered after using this feature. 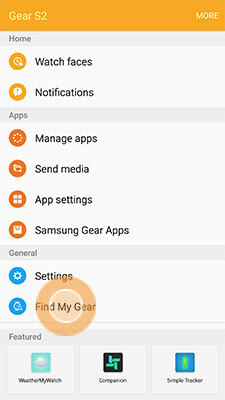 Please back up any information you need using the Samsung Gear application on your mobile device prior to using this feature. Before resetting your device, you will need to back up your data and, if necessary, turn off Reactivation lock. This will ensure your data can be restored and that you are able to access your device after it is reset. 1. From the Home screen on your mobile device, touch Apps . 4. Touch Back up and restore. 5. Touch Back up data. 6. 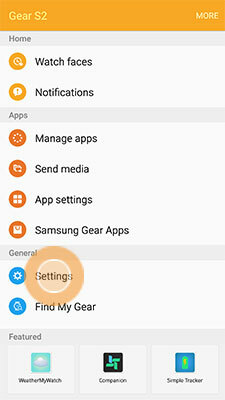 When you have finished connecting your Gear S2 to the other device, return to the Back up and restore screen and select Restore data. 3. Touch Find My Gear. 5. Touch the slider to turn Reactivation lock off . 6. 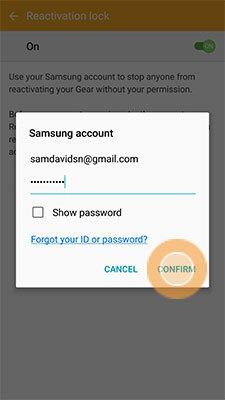 Enter the password for your Samsung account and touch CONFIRM. 1. From the Watch screen, press the Home key. 3. Scroll to and touch Gear info. 4. 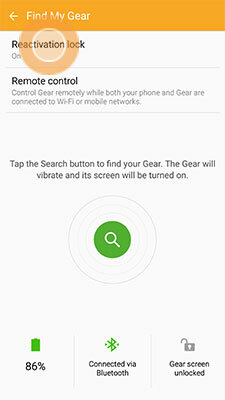 Scroll to and touch Reset Gear. • Light reset: Delete all data except media files and personal data (such as email accounts and S Health data). • Factory reset: Reset settings to the factory default values and delete all data. Use this reset when you plan to sell or give away your device and need to return it to its factory settings. 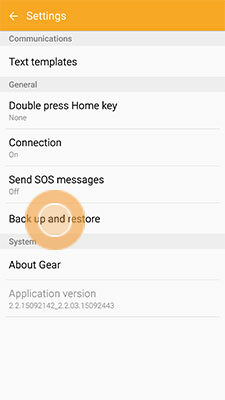 If you forget your screen lock PIN, you can perform a hard reset and restore your device to factory settings. Note: Your personal information cannot be recovered after using this feature. 1. Turn off your Gear S2. 2. Press and hold the Home key until REBOOTING displays at the bottom of the screen. 3. Press the Home key repeatedly until the Select REBOOT MODE screen displays. 4. Press the Home key until Recovery is selected, and then press and hold the Home key. 5. Keep holding the Home key until the Gear S2 begins rebooting. 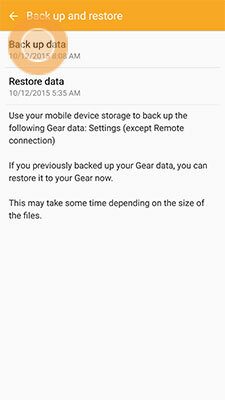 Gear S2: How can I back up and restore data for my Samsung Gear S2?